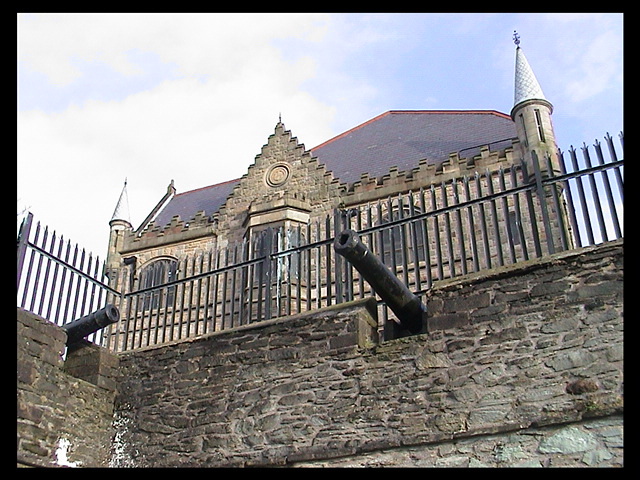 While going through Northern Ireland, I visited the cities of Derry and Belfast. 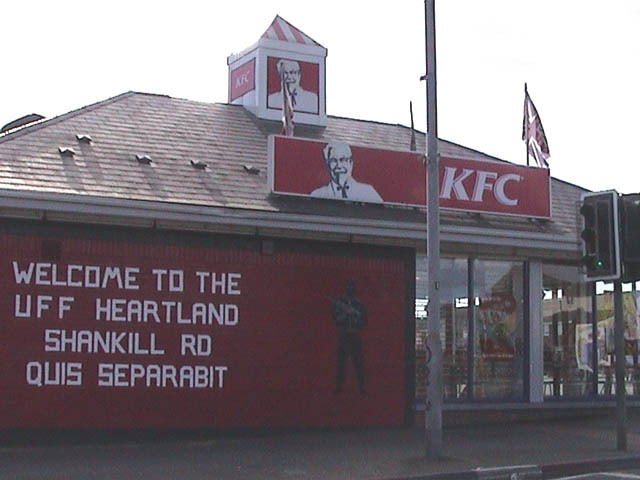 Although they were the sites of fighting and riots in the past, and still see some problems, currently there is less violence. 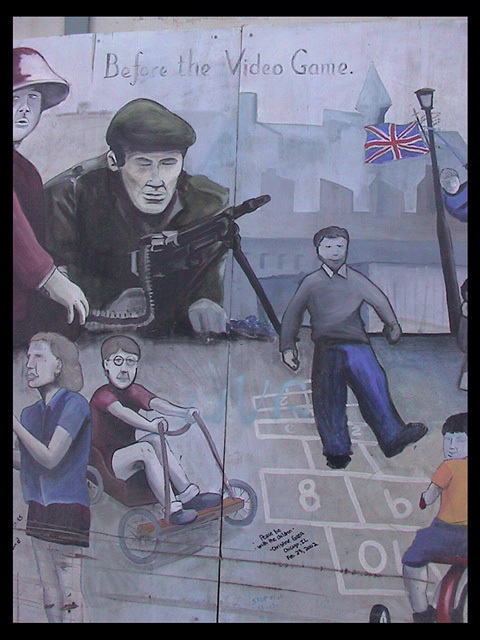 In Belfast, black taxi cabs, allowed by the Catholic and Protestant terrorist groups, will take tourists through both the Catholic and the Protestant areas that used to be the scenes of fighting. 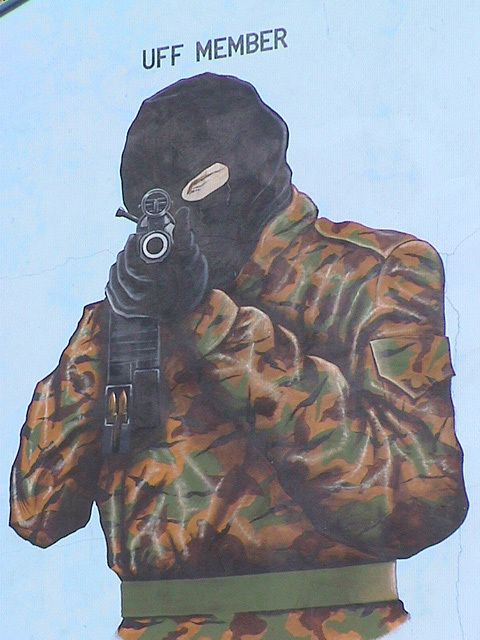 Now there is a calm atmosphere and you can see dozens of murals painted by sympathizers to both sides. 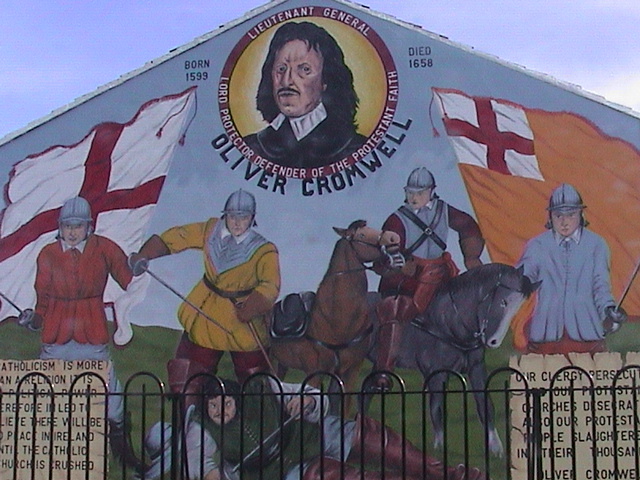 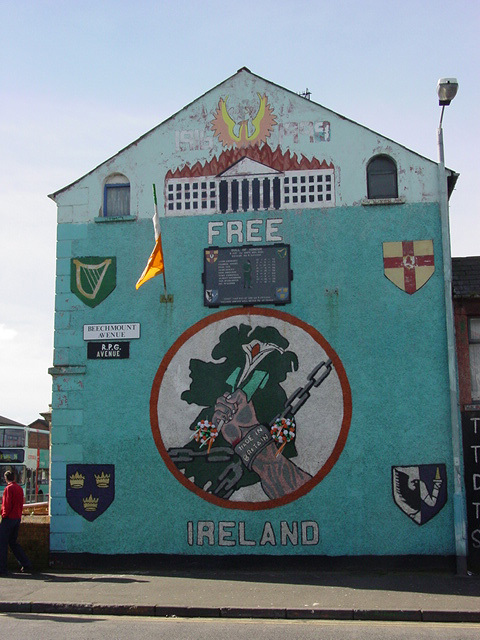 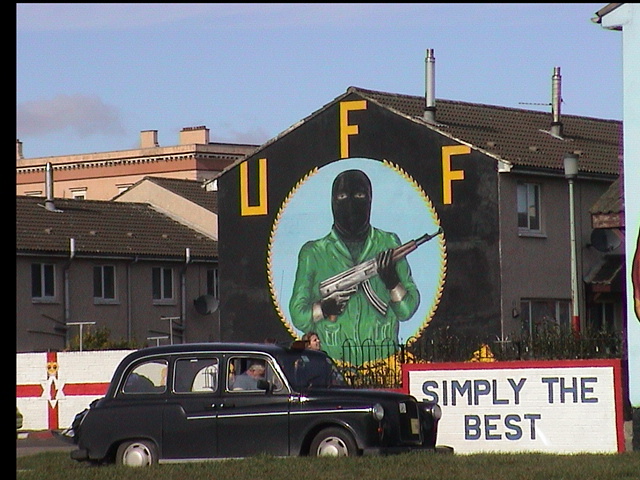 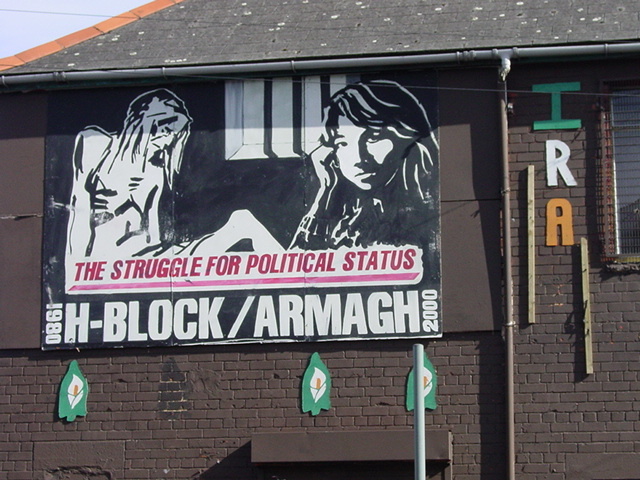 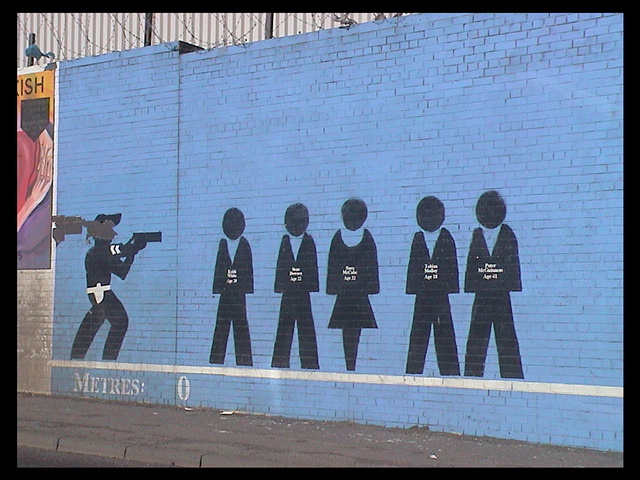 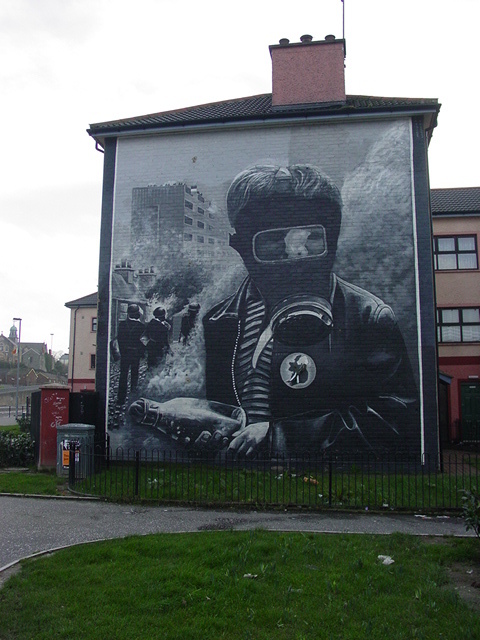 Part of the Peace Wall in Belfast. 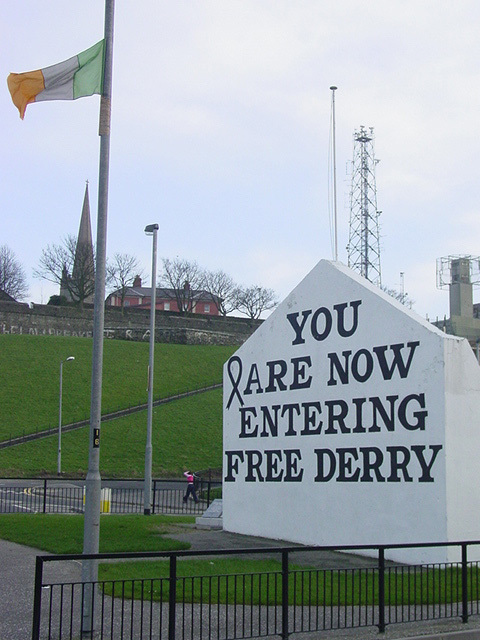 It separates Catholic and Protestant neighborhoods from each other. 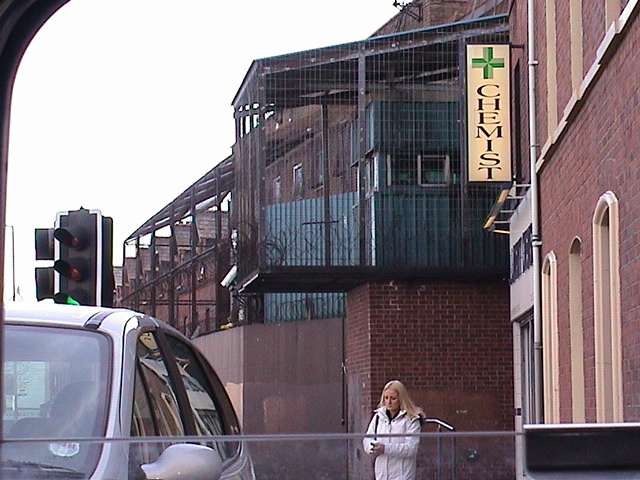 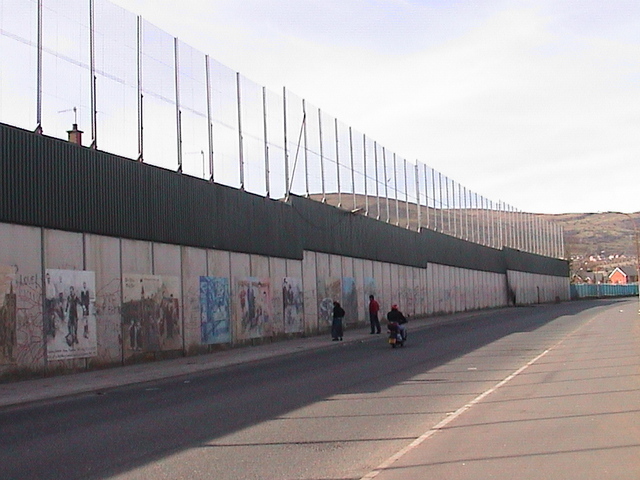 The fence extension was added in late 2001 because people were still throwing small bombs over the previous shorter wall.